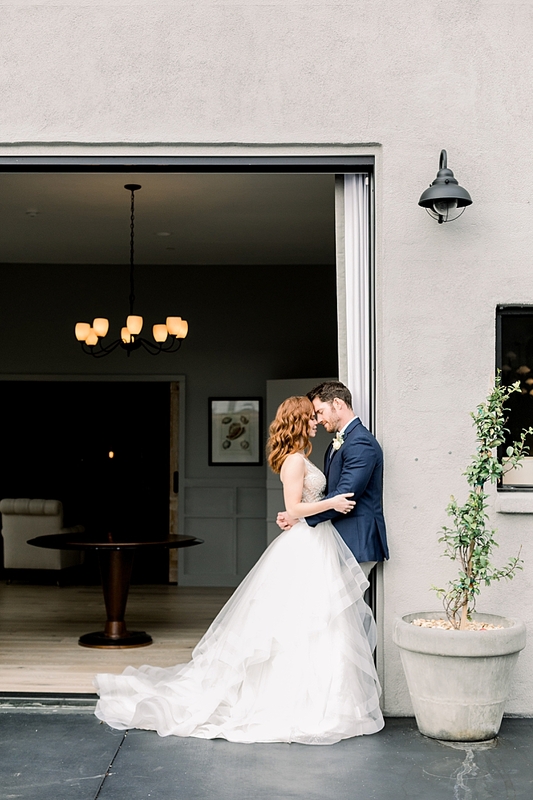 "The Harper has so much charm + character on its own, that I knew when we'd dress it up -- it would be a new favorite of ours. 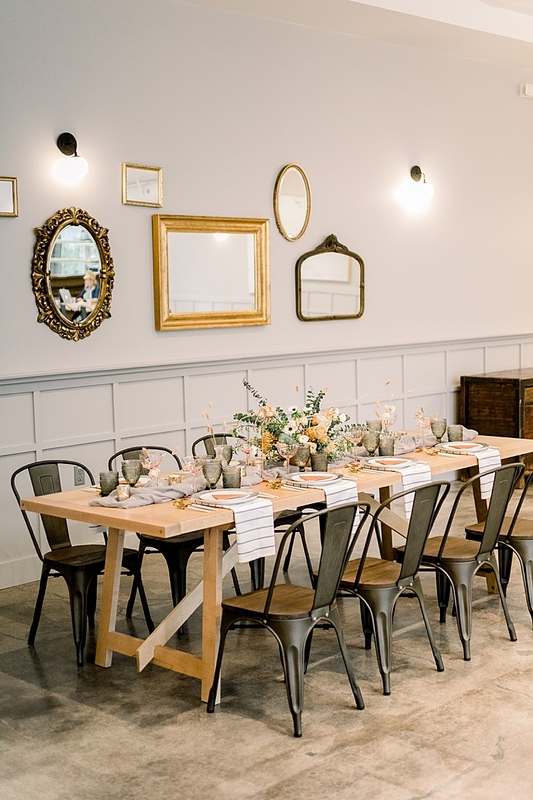 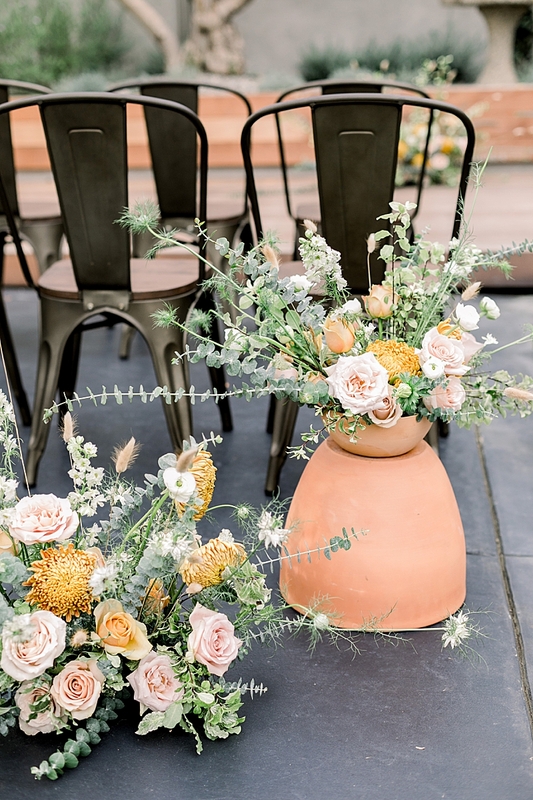 For this showcase, I love how the soft floral color palette + terra cotta give life to the space and play off the existing colors of the venue. 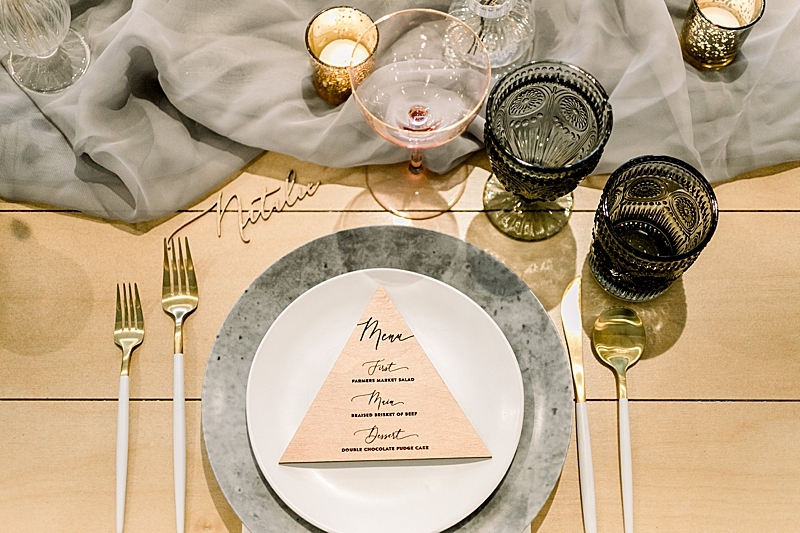 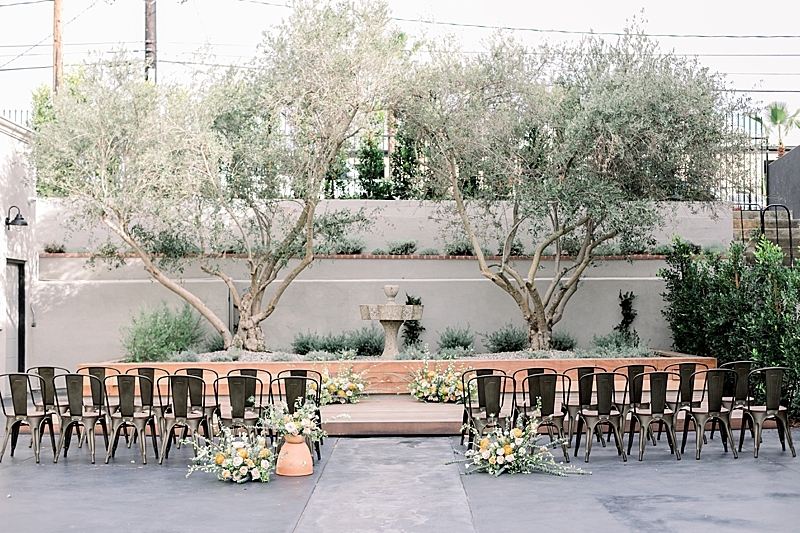 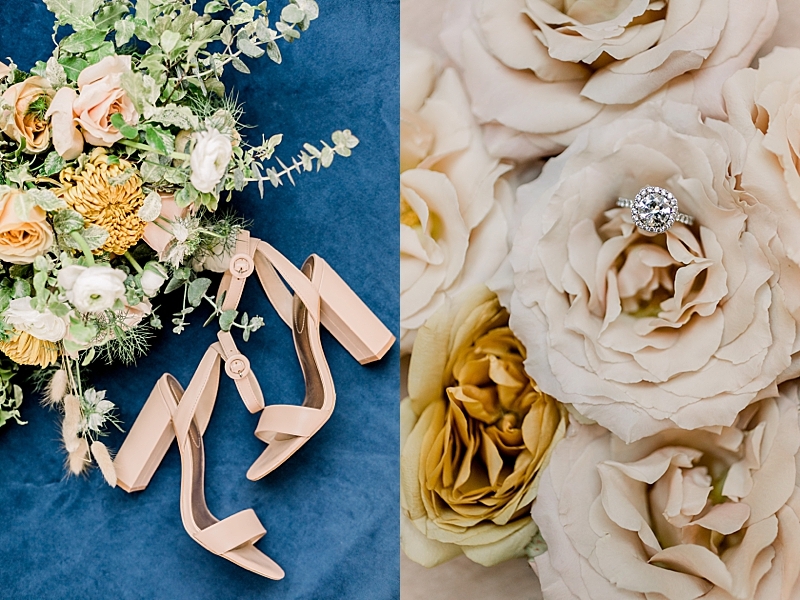 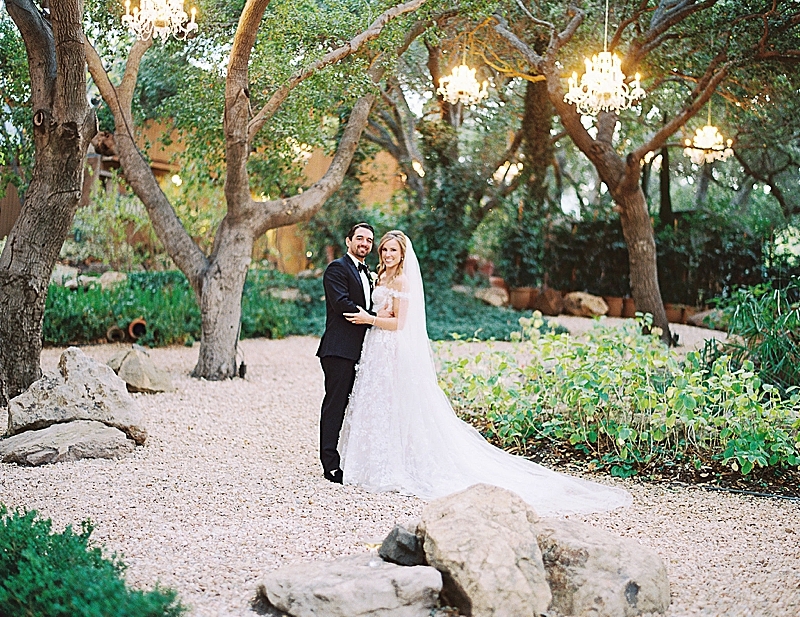 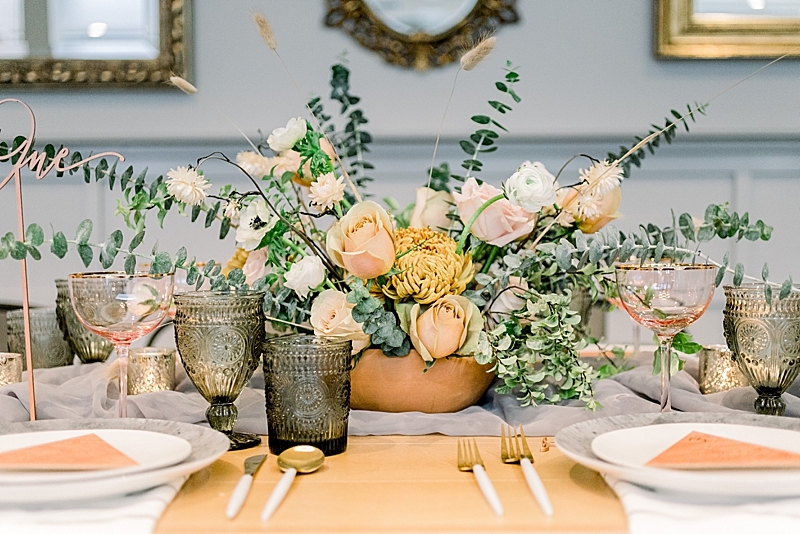 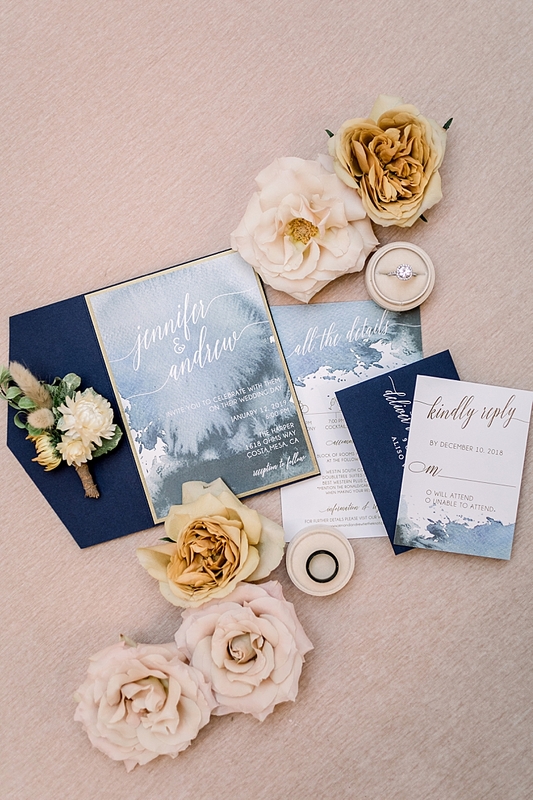 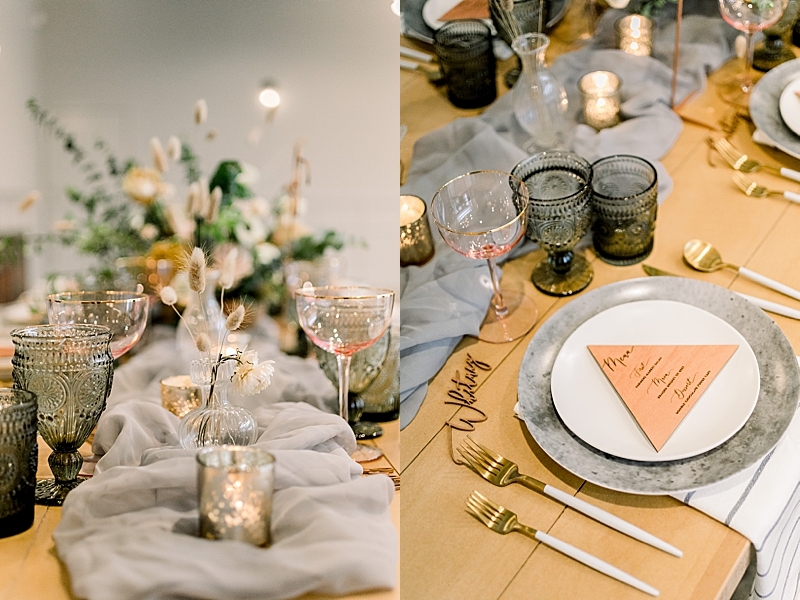 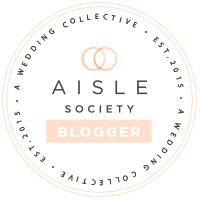 We love this spin on a neutral wedding palette and how everything blended so seamlessly together. 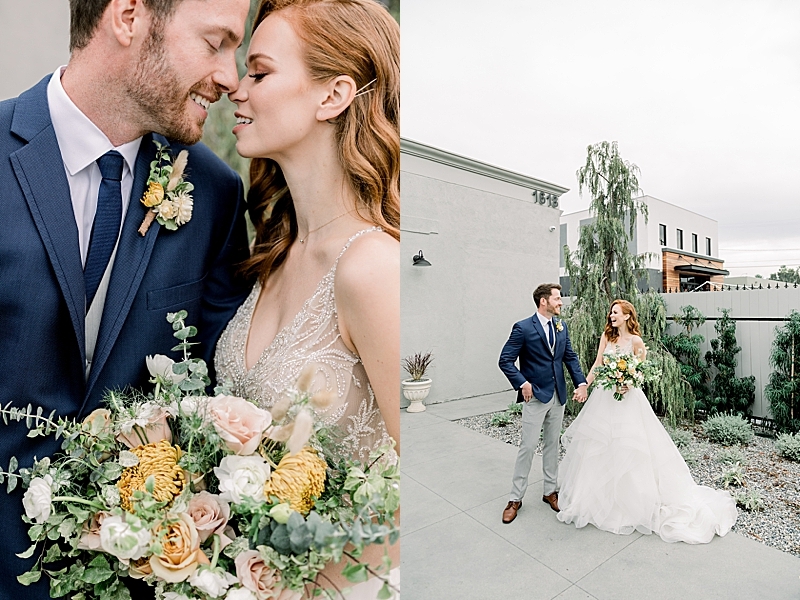 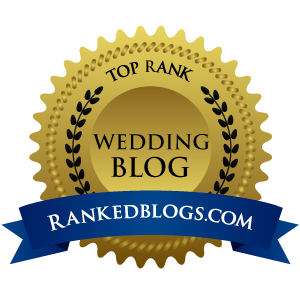 We decided to go big and bold with the bridal gown and mix + matched suit to contrast the softness of everything else which coincidentally matched the wedding suites perfectly! 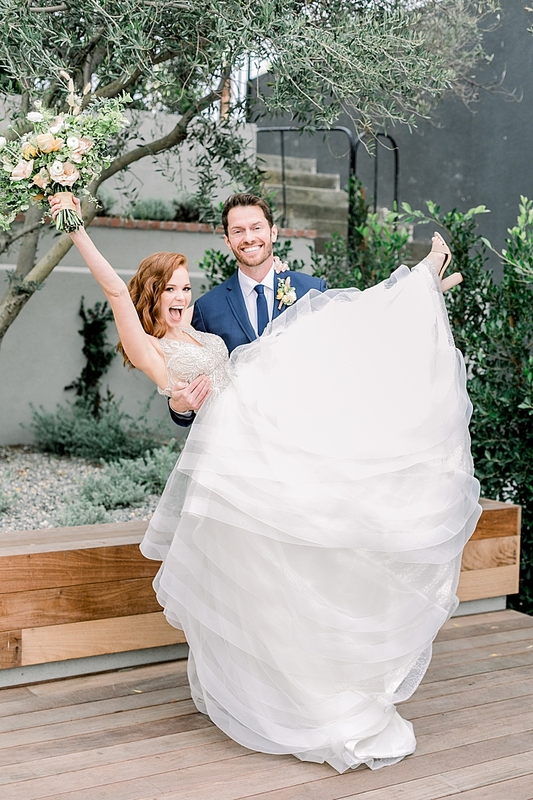 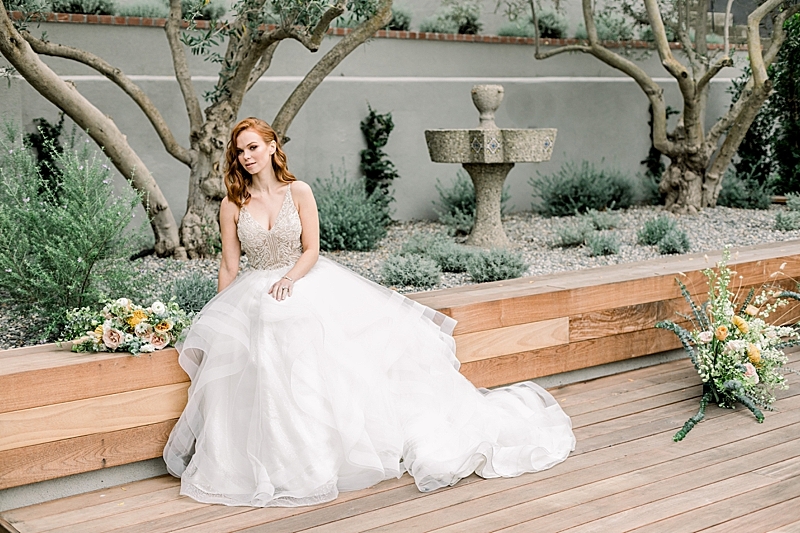 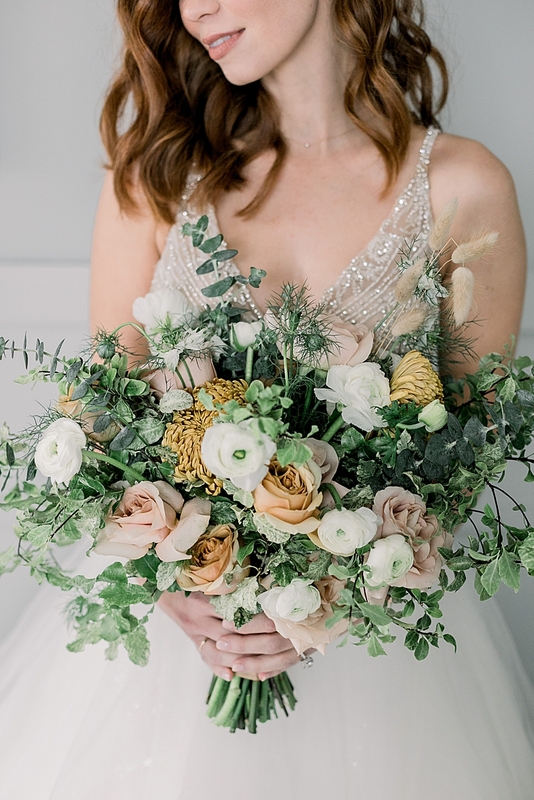 This design, while classic, had just enough whimsy to make it not only a beautiful shoot, but one focused on the design and all the little details that go into a wedding day!"